Does the matter sink or float. Take a variety of items which are made of matter and predict whether they will sink or float. 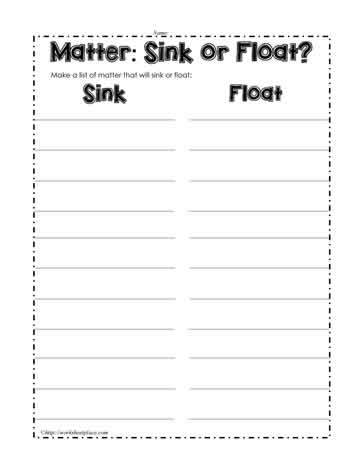 Matter worksheets for grade 1.